Germany's only Siamese twins may be separated, Düsseldorf, Germany. 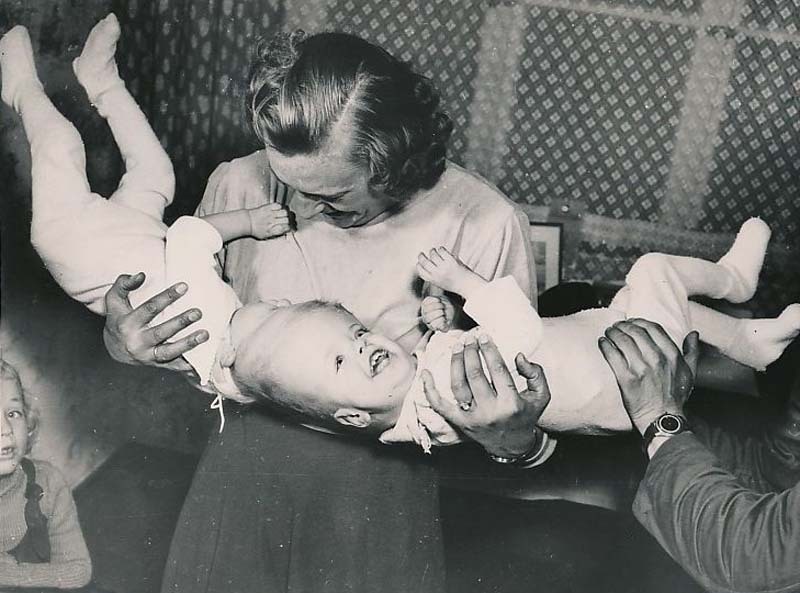 Mrs. Kurt Knaak is shown holding her Siamese twins, Gitta and Lette, believed to be Germany's only Siamese twins. Now 18 months old. The twins are joined at the head. But examination has determined that they have separate nervous systems and separate brains. Parents have given consent for surgery to separate the girls, probably this summer. Dr. Peter Roettgen, leading West German brain specialist. Is said to be planning the Operations.